Unfortunately, e-mails are nowhere near replacing traditional mail and your company still needs an effective way to keep incoming and outgoing mail organized. 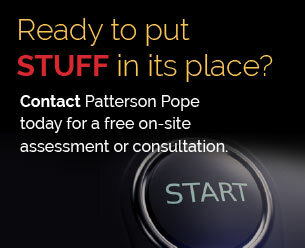 Patterson Pope has been helping companies with their mail storage for decades. Our experience tells us that mail must be sorted and stored correctly in order to prevent a potential crisis such as lost payments, misplaced invoices or missed faxes. Our Bulk Sort Units is exactly what it sounds like. Units that sort bulk mail and enables you to stay organized as you sort through what you need, what you don’t need, what goes to accounting and what goes to your assistant. Sorting through mail is a process that can often get discouraging – let our Bulk Sorts Mail Storage Units take that discouragement out of the process. Often, the mail doesn’t just get sorted in the mail room. Our Satellite Stations have been a lifesaver for high volume businesses. Use one of these stations as a local hub of your incoming and outgoing mail. 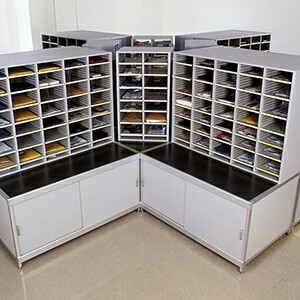 It maintains organization with bins that are accessed through drop-slots or doors. 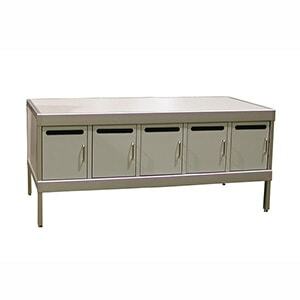 Designed by Hamilton Sorter, there are many different colors and finishes to choose from for a station, allowing you to match it with existing furniture. Is space an issue in your office? 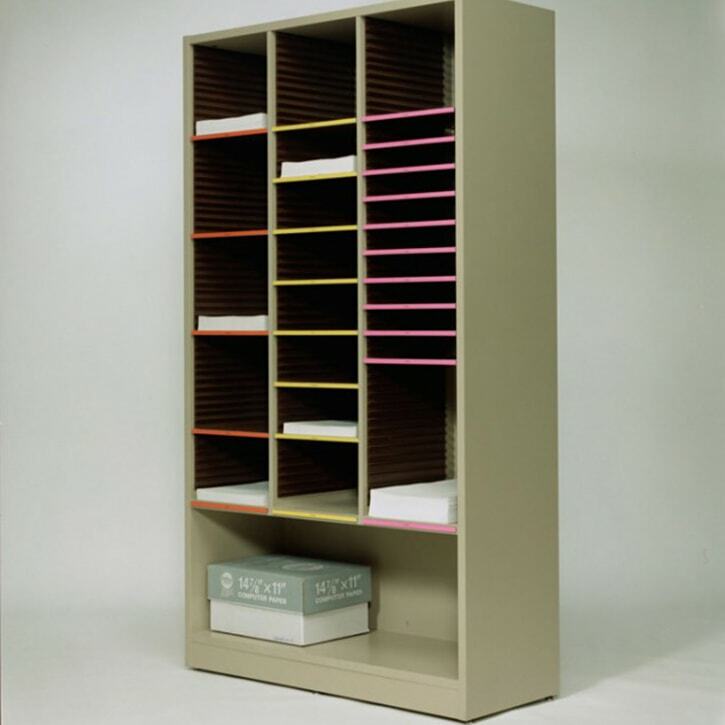 If you are looking for a unit to sort and store your mail but simply don’t have enough room for a large piece of furniture, you may be interested in our Freestanding Sort Modules for mail storage. 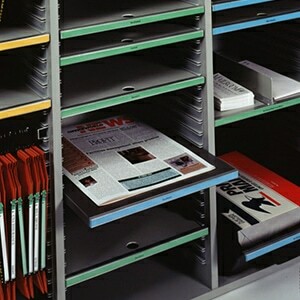 Imagine an aluminum-framed console for your mail that comes with a variety of shelving and storage options. Now take a look at our Consoles. Is one of these what you had in mind? They are indeed very perfect mail storage units. In addition, they provide useful and tough work surfaces. 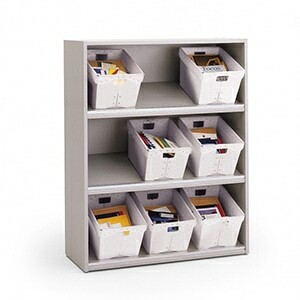 Sorting and storing mail can be done in your sleep with our Sort Modules. These smaller units of space are perfect for shared workspace settings. These modules can stand on consoles or be mounted to the wall. They also come with handy label supplies that make it easy to name and color code each unit.